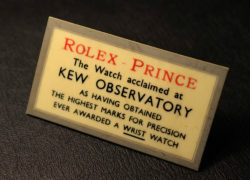 Item description: Rolex Prince shop-display plaquette. 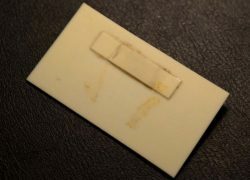 A bone like material (probably celluloid) dating from the 1940s / 1950s as a part of promotional material for the Prince models. The plaquette is 8cm x 4.5cm with a grey border and machine-engraved wording in red and black. The reverse has an attached panel where it could be positioned on display. Item of extreme rarity. Condition report: Storage age only. 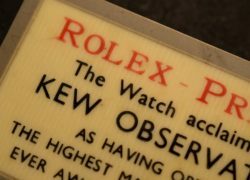 Special notes: The ground-breaking Rolex Prince first came to market in 1928, and remained within the Rolex range for decades. 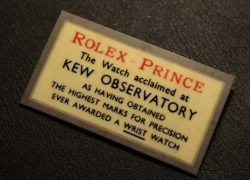 In 2013, Rolex re-installed the Prince back into the current range.